Friends of Kids with Cancer | Dave Matthews Raffle Winner Announced! Dave Matthews Raffle Winner Announced! 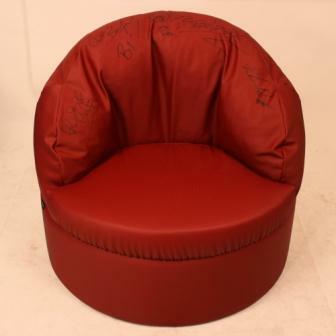 The winner has been announced for the chair donated by Foamiture Furniture that was personally signed by all members of the Dave Matthews Band! There was a flurry of tickets purchased right up until the Halloween Weekend Deadline, and the chair raised $1,000! The winner was Mitchell D. of Ohio, an avid fan and collector of Dave Matthews Memorabilla. Congratulations to Mitchell, and thank you to everyone who purchased tickets. A special thanks goes to Joel Daly and Jon Yoder at Foamiture for giving us this wonderful item, and continuing to support our organization. Foamiture Furniture will be selling the style of chair that was used in the raffle ongoing, with ALL of the proceeds going to Friends! "Natalie's Chair" is available through their website, dedicated to a young girl in treatment here in St. Louis that has become an inspiration to the Foamiture Company.